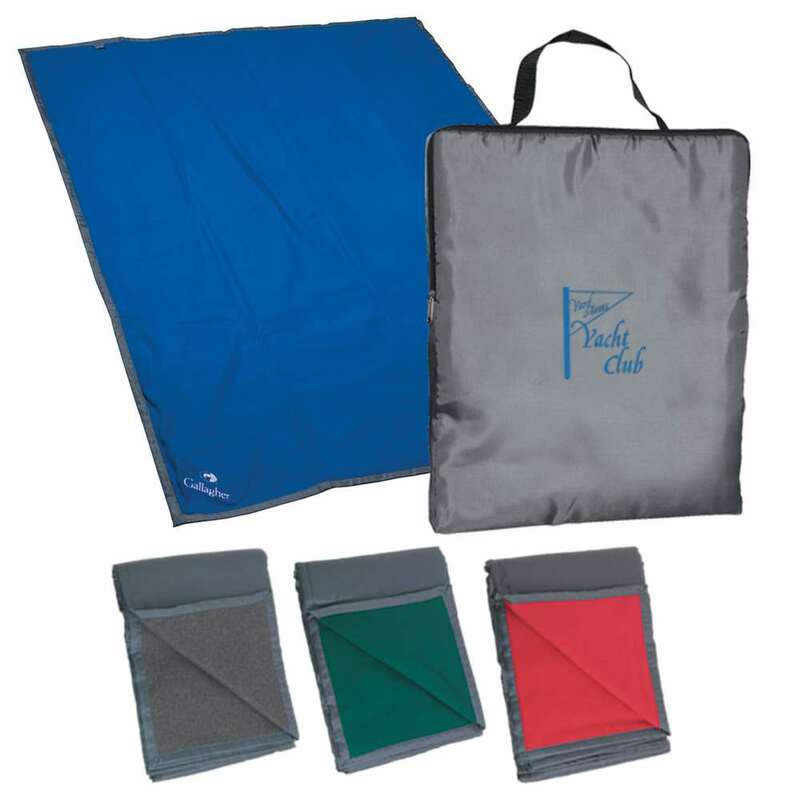 The Reversible Fleece and Nylon Blanket is a dual purpose blanket that is an all-weather friend and can be there for you whatever the weather conditions might be. The large blanket has water-resistant coated nylon on the reverse side. The Reversible Fleece and Nylon Blanket is a dual purpose blanket that is an all-weather friend and can be there for you whatever the weather conditions might be. The large blanket has water-resistant coated nylon on the reverse side. It comes in a nylon carrying bag with a zipper and a handle for secure and effortless transport. Embroider your company’s logo on the blanket and ensure a lovely day out for your clients. Gift the picnic blanket to your esteemed customers and make your brand a household name across all seasons.